Could that be Jack Armstrong right in the second row of the audience, or is it just stock footage in this budget-conscious Butcher Empire Production? A clean young man serves up a telegram before the boat sails to Ireland: Wilfrid Brambell with a salver. Backstage, the doorman Jim looks like Charles Paton to me. Horsey Face pitches up in a gypsy camp scene with Robert "Bob" Arden. Last edited by Gerald Lovell; 21st March 2017, 09:45 PM. And a somewhat unsavoury beaming Charles Adey-Gray. The heavies in this episode are Dinny Powell, Terry Walsh and Alan Chuntz, and it's nice to see them all get a screen credit for once. I have posted something on Films and Chat re The Night we Dropped a Clanger I think I should have posted here. It's Laura Thurlow isn't it? 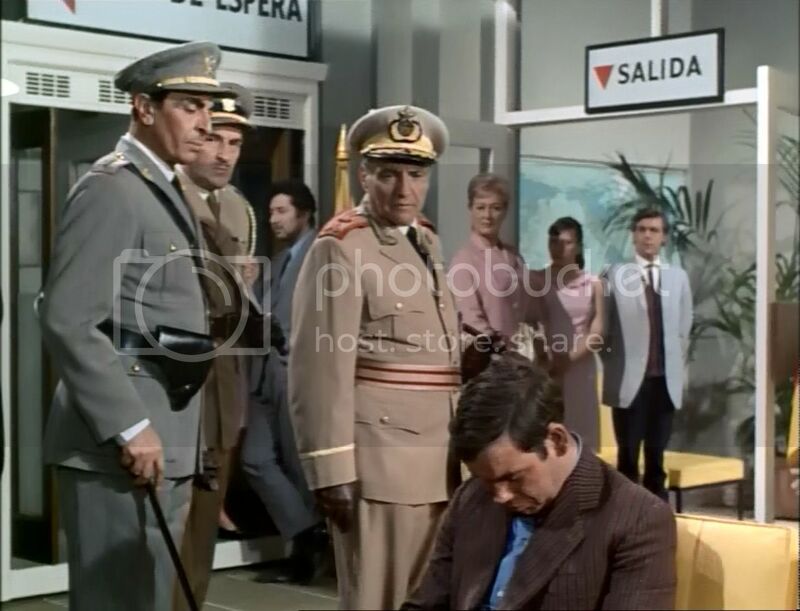 Among those present at the reading of the late Count's will, are widow Ingrid Pitt, loyal Major-Domo Nigel Green, and at the back, shifty servant Maxwell Craig. 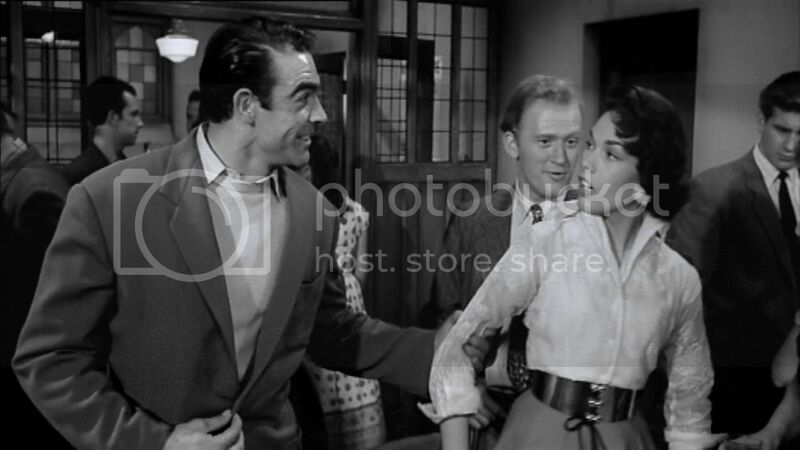 That that is Paul Phillips at the bar in She Knows Y'Know (1961) with Cyril Smith and Joe Gibbons having a laugh, which is more than most of the audience would have had watching this film. The men in uniform are (l-r) Martin Benson, UM 105 & Peter Illing. Pretending to be asleep, Bernard Barnsley. I thought the young man standing next to her was Christopher Timothy, but it's not. With the under-used Gordon Jackson and unknown extras. Garth must be the Manager of the depot (a role later played by Michael Sheard). Conductor Bob Grant and obscured driver Reg Varney address him as "Sir" when he and secretary Lynn Dalby nonchalantly walk past them. Last edited by cornershop15; 28th March 2017, 08:09 AM. Good to see you on here, cornershop, and some nice sightings. 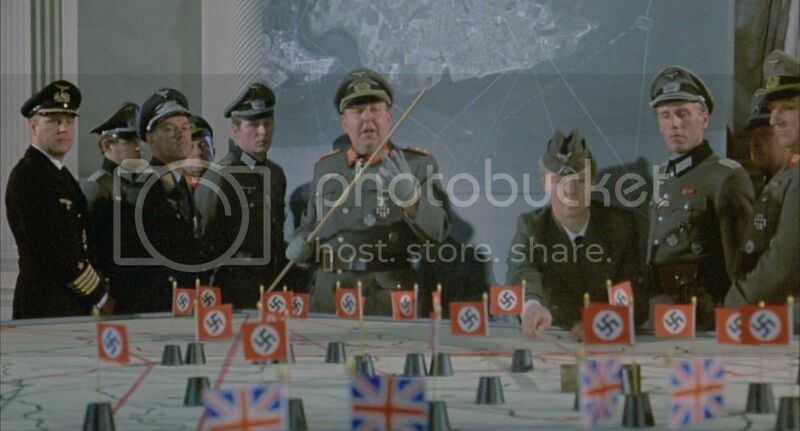 And I think Kapitän zur See Reg Turner and a sneering Lew Hooper on the left. Probably already sighted, but felt like disposing of my two pence. Fred Machon and Mike Jarvis (with skis) get ready to walk onto the tarmac and under the plane's wings. Billy decides to entertain the passengers with one of his echo-chamber songs and to hell with stowing the hand luggage. Jack Arrow gazes forward manfully. Moving to The Lotus Club, although Bernard Barnsley is sitting this one out, you can see right at the back Harry Van Engel is still at it, albeit in a different outfit. Tony Mendleson appreciates it so much, he quite overdresses for the occasion. His mum was up all night tying his bowtie.